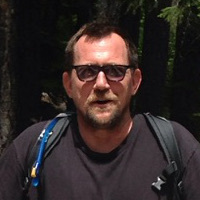 As the Systems Administrator for Conservation Biology Institute, Robert brings 14 years of GNU/Linux, Windows and Mac administration and interoperability to CBI in a relentless quest to be a prime enabler. His experience encompasses various forms of Systems Adminsistration and support of GNU/Linux, Mac and Windows based computing environments. This has ranged from the server side to the desktop with both custom and off the shelf software and hardware solutions.